Preheat oven to 375. In a medium bowl, whisk together the garlic, oil, vinegar, anchovy paste, salt and pepper. 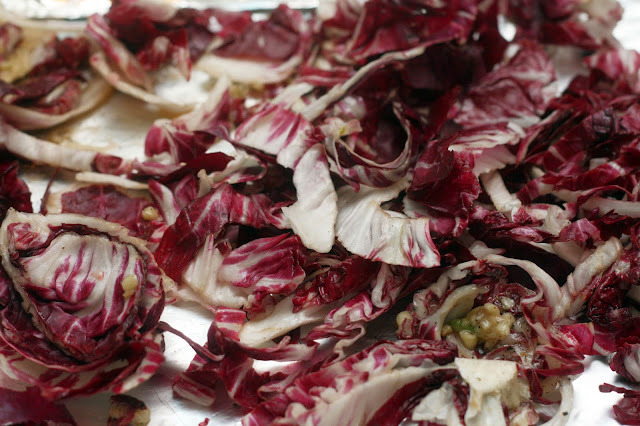 Top with radicchio, toss to coat. Allow to sit 10 minutes, toss again. Pour out into a foil-lined baking sheet, in a single layer, bake about 20 minutes or until starting to crisp. Radicchio isn't something I often think of eating on my own. For one thing, I can never spell correctly and for another; I've mostly encountered it in tiny slivers in salad mixes, not on its own. So when one showed up in my produce box, I decided to give it try rather than switch it out for more tangerines. 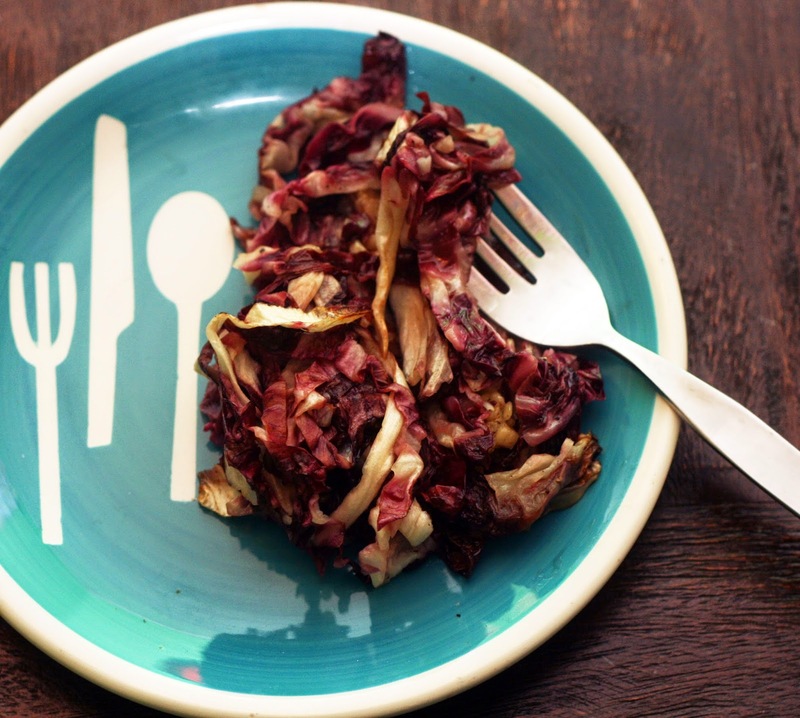 It is a member of the chicory family (like endive) rather than a lettuce so it is rather bitter. I decided to roast it to bring out some sweetness. It was still a bit bitter, but not nearly as much as it is raw. I tossed with balsamic, olive oil and a bit of anchovy as a nod to its Italian roots. I really liked it! I just had a small head and it made enough for two generous side dish-sized portions but feel free to double or triple the recipe, although you will need to use additional pans.